Earlier this year friend and Barn Find Hunter Tom Cotter paid us a visit here at Undiscovered Classics. Today, we are honored that Hagerty Classic Car Insurance featured a video of his visit on their website. 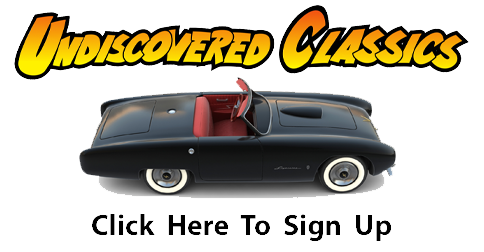 Click on the image below to view the video and see some of the rare and one-off sports cars that we discussed. Hope you enjoyed this video and great thanks to Tom and the crew at Hagerty Classic Car Insurance for their interest and enthusiasm. Great video, Geoff. Nice to see that Tom also understands and respects the history of the post war kit cars. THANK GOD WE HAVE GEOFFREY HACKER TO PRESERVE THESE CARS AND SAVE THEIR HISTORY, NO ONE ELSE ON THE PLANET HAS DONE MORE TO GET THESE CARS THE RECOGNITION AND GLORY THEY DESERVE. GEOFF HAS ALWAYS MADE ALL HIS INFORMATION AVAILABLE AND HAS BEEN MOST HELPFUL IN THE RESTORATION OF OUR OWN CARS. WE LOVE YOU GEOFF FOR ALL YOU DO ! LIVE LONG AND PROSPER. Geoff’s passion and zeal for finding and saving rare cars is unparalleled. His ability to track down the original builders or their family members is unbelievable. 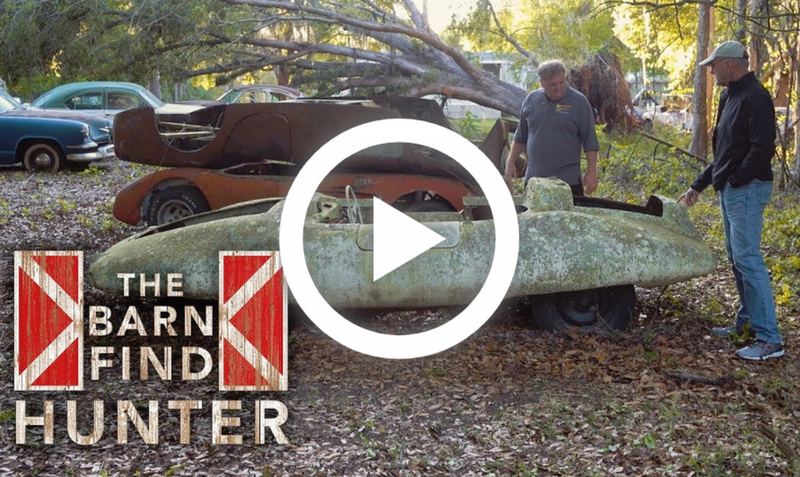 He not only locates the surviving cars but he documents the stories behind these rare one-of-a-kind or low-production cars. He’s one of the hardest-working people I know. Geoff has traveled many, many miles to save cars that truly had been forgotten. Way to go, Geoff! Geoff keep up the good work. I have gathered up most of the parts for my Kellison J-6 Panther. Giving it a rest now. I had it running. Trying to figure out how to proceed with the bodywork. It is too bad my old friend passed away about 6 years ago. He did all my corvettes and he was a Master when it came to Corvettes and fiberglass work. I miss him. Looking at a Kellison Stallion now. Trying to verify if it is real. Cannot find frame numbers to put it among the registry of 117 cars produced by Kellison. It fits the time slot and design. I believe it to be a late edition. Possibly 79-80. Maybe one of the last bodies produced. The owner mentioned some paper work in relation to a person with the name Grant. I really like this car and it only has 600 miles on it. If the price is right I may buy it regardless of its authenticity. In an earlier correspondence I stated I may write an article for you on the Kelliso J9-Panther once the car is complete. I have all the info back to the original builder and first owner. I’v just looked at a few video’s that you have made and there great! Keep em coming, you’re task is very difficult to track this material down but the rewards are unbelievable. How many are still out there? no one knows what time will turn up. Geoff, very fascinating as always. These cars are real treasures and it’s also interesting to think about the guys that were building these back in the day.It takes time and dedication and a passion that needs to be sustained until the car is built. Thanks for the great job you do making the automotive history of these cool cars accessible to us.